CILIP has recently launched the first professional Chartership for Knowledge Managers and is working to develop products and services in support of the Information Management and Data Science community. One of the world's leading publishers of business intelligence, specializing in Industry research and Procurement research. Since 1971, IBISWorld has provided thoroughly researched, accurate and current business information. Today, IBISWorld employs teams of analysts in the US, UK and Australia that scour economic, demographic and government data so you don’t have to. IBISWorld research provides your organization with valuable industry market research and procurement research, so you can make better business decisions, faster. IBISWorld's unrivaled range of business intelligence is available online wherever and whenever you need it. Whether your company requires a better understanding of market conditions now and in the future, whether you need a clearer picture of major suppliers or a supply chain, or whether you need to keep abreast of competitor activity, IBISWorld’s suite of business intelligence reports will keep you ahead of the competition. Jinfo is a global research and analyst group that develops original models and insights on content purchasing, information strategy, and optimising information teams. M&AMonitor is a provider of in-depth, quality financial analysis to various participants in the financial services sector. Other activities include research support work for one of the City's most respected bodies. M&AMonitor also undertakes independent sector and valuation research for both corporate and private equity investors. 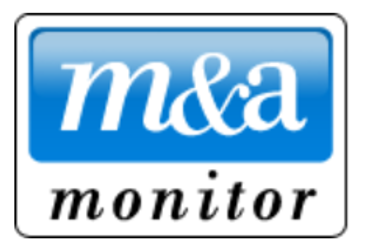 Since its inception, M&A Monitor is known for its commitment to quality, innovation, analytical rigour and a willingness to adapt to suit our clients' changing data requirements. Prenax is a specialist information vendor management company, offering professional management of the world's print and digital subscriptions, licences, memberships and books across a broad range of corporate, financial service and legal sector clients. Through its offices in the US, APAC, UK and across much of Europe, Prenax has built up a reputation for high quality and transparent service. By consolidating orders through a single specialist, customers benefit from having fewer suppliers, lower costs, better visibility and control, improved processes and copyright compliance. Prenax’s AAA credit rating means peace of mind for customers. TRG Screen is the leading provider of software used to monitor and manage subscription spend and usage across the entire enterprise. TRG Screen’s clients realize immediate ROI and significant long-term cost savings, transparency into their purchased subscriptions, improvements of their workflows and a higher degree of compliance with their vendor contracts. Our global client base consists of more than 750 financial institutions, law firms, professional services firms and other blue-chip enterprises that jointly manage more than $6.0 billion of subscription spend using TRG Screen’s software solutions.